Nothing wounds me more than seeing sales people not being rewarded for the hard work they put in. But the sad news is, sales people don’t get rewarded based on effort. They get rewarded based on results! If you’re in sales you learn that early on…results are the only thing that matter. That’s why The Sales Improvement Workshop is designed to get sales people operating so that 90% of what they do and where they spend their sales time has a BIG and POSITIVE impact on sales results. Quickly engage with cold prospects so that you get that all important first meeting, so no more empty sales diaries! 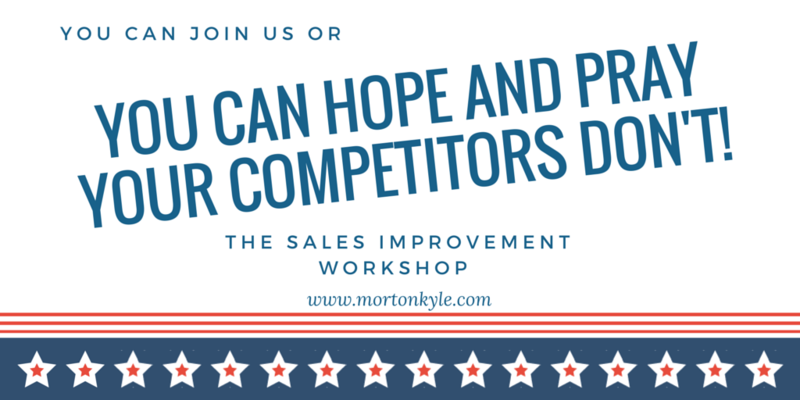 The Sales Improvement Workshop is designed to realign your thinking towards results. You’ll get great clarity on where you should spend your time and what you should spend your time doing, as well as giving you 100’s of insights that will help you get better results, higher conversions, higher profits and bigger commission cheques. Fast paced, highly interactive, skills and insights you can use immediately as well as a day where you think about your sales performance, your sales goals and the easiest and simplest way for you to achieve them. Plus – if you’ve not got at least a few great insights on the day – you can get a full money back refund. No questions asked. Are You Really Leaving That Much of YOUR MONEY on the Buyer’s Table?